The topic will be about collecting data and using technology, human networks, and community connections to end lead poisoning. The time and date will remain the same, but the agenda will vary from month to month. Please add the 3rd Saturday, 10am-12pm to your calendar and sign up for the SmartOakland.org Newsletter to receive updates and reminders to join us in our Meetups. Building better government services from the inside out with Oaklanders. Please join the Mayor's Office, Citi Community Development, and the 100RC for the launch of the nation’s Civic Service Design Lab (CDL) dedicated to training government staff and making public services for low-income Oaklanders as effective and accessible as possible. Our mission is to empower the City of Oakland staff to better meet the needs of Oaklanders through a new model of civic innovation. CDL is the implementation engine of the Resilient Oakland playbook, a community-led resiliency action plan that was built over a 3-year period. CDL's core function is to serve as an in-house service design incubator that enhances civic engagement by training, facilitating, and working alongside those who use and deliver City's critical social services. By putting people first in every project that we touch, we are committed to ensuring that our public servants, civic leaders, partners, and community alike have the right tools to respond to 21st century challenges. Join us to learn about CDL's journey and hear from our community members to see our process is being used in practice. *Registration required. Event will close at capacity. Please RSVP early! If you need onsite childcare, please fill out this form. If you can't make it in person, you can still join us online by registering at this link. Greenlining’s 360 Center is centrally located in the heart of downtown Oakland’s City Center area. Only 20 minutes away from the Oakland International Airport and 20 short minutes from downtown San Francisco, the 360 Center is conveniently accessible by BART, AC Transit, and local interstate freeways. BY BART from OAKLAND INT AIRPORT: Make your way to the AIR Bart platform. After exiting the airport near Terminal 1 baggage claim, take the escalator or stairs up one level and wait for the shuttle train. It runs every 6 minutes between 5am to 11pm on weekdays. This shuttle will take you to Coliseum Bart Station where you will need to pay the trip fare of roughly $8. From Coliseum station, you will get on the ‘Richmond’ train towards downtown Oakland. You will exit the train, after 4 stops, at ‘12th Street Oakland City Center’ in Downtown Oakland. The platform is underground and exits give indication of above street names. Once above ground, search for 14th street and Greenlining is just past Franklin Street. BY CAR from OAKLAND INT AIRPORT: Get on I-880 North from Airport Dr, Bessie Coleman Drive and Hegenberger Road. Follow I-880 North and take Exit 41B toward Broadway/Downtown. Continue on Broadway and take a Right turn onto 14th. The building will be on the left after crossing Franklin Street. Parking rates vary depending on location and length of stay, ranging from $10-$45. Please be sure to place valuables and personal belongings in the trunk or out of sight while parked. Our address is 360 14th Street in downtown Oakland. We are accessible by car or the local Bay Area Rapid Transit (BART) train system, depending on your location. Once you arrive at 360 14th Street please enter #201 on the access panel/callbox to the left of the front door and your call will be answered promptly. We thank our Founding Partner Citi Community Development for their generous support. We are grateful for the Oakland Fund for Public Innovation and the 100RC for their partnership. We thank the Greenlining Institute for hosting us. We have a cross-functional group presenting perspectives, questions, solutions, and strategies to Get the Lead Out of Oakland, CA starting with Fruitvale Station. + Stephanie Hayden, CEO Vision Architecture, Inc., Co-founder, SmartOakland will kick off the morning with new developments in technology and data we'll use to help end lead poisoning in Oakland. Stephanie and Blair Matsuura, SmartOakland member, will begin by explaining, "CrowdLead", an open data, crowdsource effort to recruit volunteers to help reach out to their friends, families, church groups, community leaders, and activists to explain the serious nature of risk of lead poisoning and to do at home lead tests to see if lead is inside their homes and submit their results to SmartOakland.org/crowdlead-results. We will then respond to requests by connecting them with existing support services, and with their permission, we will post their results online to bring transparency to the scale of need for immediate response to lead poisoning situations in Oakland. No single person or specific address will be made available to the public. This is only a high-level view of the 2-4 block radius where a positive lead test has been reported. Stephanie will then provide a quick demo of her Smart City Solution, "Get the Lead Out", which illustrates how this data can lead to follow on services from the CrowdLead volunteer data mapping project to help Tenants, Service Providers, Landlords, and Oversight Committees bring open poison cases to a close. Questions and answers to follow. 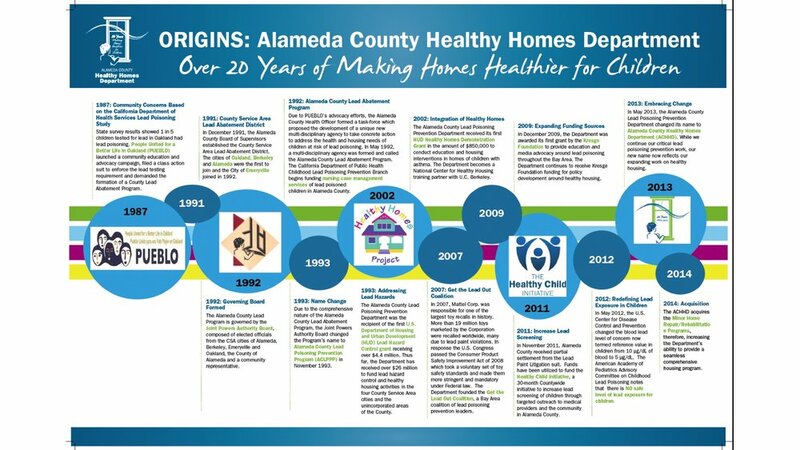 + Larry Brooks, Director, Alameda County Healthy Homes Lead Poisoning Prevention Division will follow with history and progression of the Healthy Homes & Lead Prevention program here in Alameda County and what he wants us all to do to help him expand his work getting more kids tested for lead poisoning and to pass Oakland's Proactive Rental Inspection Program to start controlling building safety and inspections for all housing in Alameda County. + Alex J. Bledsoe, Filmmaker, Writer, and Creator of, "Oaklead", a documentary on the legacy of lead poisoning in Oakland, CA will follow with storytelling and what she's working to do to get the word out to bring media and resources to help us close these issues for Oaklanders. Alex helps people tell their stories and be heard and she's looking for individuals who are willing to share their story with her/us so we can bring resource to fix these issues with the community. 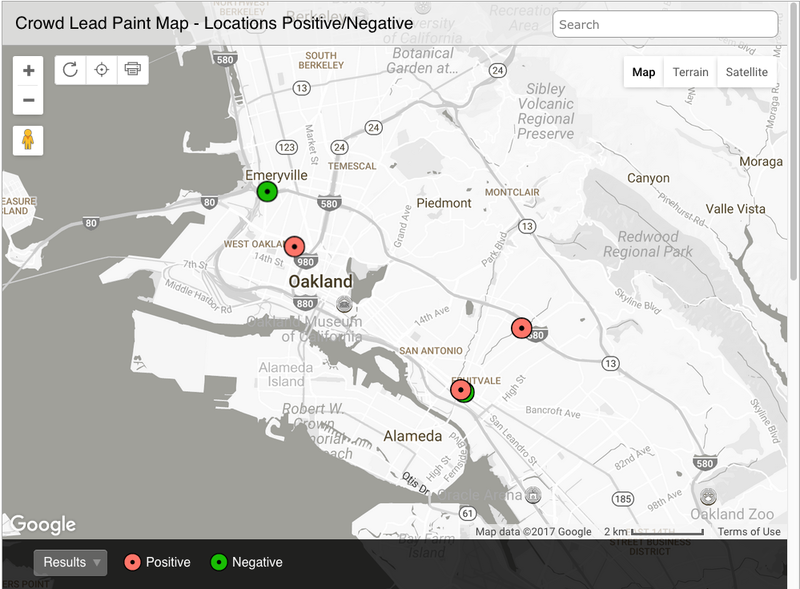 Stephanie Hayden's, SmartOakland, CrowdLead volunteer lead data dashboard project shows current lead poison and lead-free locations on an open data map so people can see what is going right now, vs. what data exists from many years ago. We need instant information in order to intervene and stop people from ever being lead poisoned in the first place. That real-time insight always begins with many tiny dots on one map. Stephanie Hayden's Get the Lead Out Smart City Solution tracks all lead data for tenants, case workers, service providers, landlords, and oversight committees so everyone can work together to get the lead out of tenant dwellings and keep Oaklanders safe in their homes. The Unity Council Senior Center is located at 3301 East 12th Street, which is a very large building. The Fruitvale BART Station is directly behind the Senior Center so take BART if you can. If you want to drive and park there is street parking, BART parking, and a parking lot on 36th Street nearby. The entrance is not on the Fruitvale Avenue side of the building but on the opposite side by the Fruitvale Village courtyard mall areas. Call SmartOakland if you have trouble finding it. We will close the doors at 10:15am so please arrive by 9:45-10:00 to make sure we can let you in the door!